… of the pot calling the kettle black? The all-stars just barely beat the kids. What an incredible gold medal hockey game to end the 2010 Vancouver Winter Olympics. It took everything Canada’s all-star studded team could muster to eke out a victory over the extremely youthful team USA. The first beams of 2010 circled the LHC earlier today. Another incremental step toward functional quantum computing. We don’t need quantum computing just yet, but we will. MADISON — Exerting delicate control over a pair of atoms within a mere seven-millionths-of-a-second window of opportunity, physicists at the University of Wisconsin-Madison created an atomic circuit that may help quantum computing become a reality. Quantum computing represents a new paradigm in information processing that may complement classical computers. Much of the dizzying rate of increase in traditional computing power has come as transistors shrink and pack more tightly onto chips — a trend that cannot continue indefinitely. With fellow physics professor Thad Walker, Saffman successfully used neutral atoms to create what is known as a controlled-NOT (CNOT) gate, a basic type of circuit that will be an essential element of any quantum computer. As described in the Jan. 8 issue of the journal Physical Review Letters, the work is the first demonstration of a quantum gate between two uncharged atoms. The use of neutral atoms rather than charged ions or other materials distinguishes the achievement from previous work. “The current gold standard in experimental quantum computing has been set by trapped ions… People can run small programs now with up to eight ions in traps,” says Saffman. However, to be useful for computing applications, systems must contain enough quantum bits, or qubits, to be capable of running long programs and handling more complex calculations. An ion-based system presents challenges for scaling up because ions are highly interactive with each other and their environment, making them difficult to control. The team used a combination of lasers, extreme cold (a fraction of a degree above absolute zero), and a powerful vacuum to immobilize two rubidium atoms within “optical traps.” They used another laser to excite the atoms to a high-energy state to create the CNOT quantum gate between the two atoms, also achieving a property called entanglement in which the states of the two atoms are linked such that measuring one provides information about the other. Writing in the same journal issue, another team also entangled neutral atoms but without the CNOT gate. Creating the gate is advantageous because it allows more control over the states of the atoms, Saffman says, as well as demonstrating a fundamental aspect of an eventual quantum computer. This work was funded by grants from the National Science Foundation, the Army Research Office and the Intelligence Advanced Research Projects Agency. If you like Napoleon Dynamite (from the same creators) or Flight of Conchords (stars Jemaine Clement) be sure to check out Gentlemen Broncos . It’s coming out Tuesday on DVD and I caught a pre-street tonight. Funny, quirky, a little bit stupid and totally worth seeing. Ever wonder if your crazy tax deduction idea would pass the IRS’s muster? Here’s a list of 14 “oddball” deduction that did just that. 4. Cat food. A couple who owned a junkyard were allowed to write off the cost of cat food they set out to attract wild cats. The feral felines did more than just eat. They also took care of snakes and rats on the property, making the place safer for customers. When the case reached the Tax Court, IRS lawyers conceded that the cost was deductible. 7. Breast augmentation. In an effort to get bigger tips, an exotic dancer with the stage name “Chesty Love” decided to get implants to make her a size 56-FF. The IRS challenged her deduction, saying the operation was cosmetic surgery. But a female Tax Court judge allowed this taxpayer to claim a depreciation deduction for her new, um, assets, equating them to a stage prop. Alas, the operation later proved to be a problem for Ms. Love. She tripped, rupturing one of her implants. That caused a severe infection, and the implants had to be removed. 10. Free beer. In a novel promotion, a service-station owner gave his customers free beer in lieu of trading stamps. Proving that alcohol and gasoline do mix — for tax purposes — the Tax Court allowed the write-off as a business expense. Shockingly (er, not really) neither side had a total grasp on the truth. Sen. Lamar Alexander said premiums will go up for “millions” under the Senate bill and president’s plan, while President Barack Obama said families buying the same coverage they have now would pay much less. Both were misleading. The Congressional Budget Office said premiums for those in the group market wouldn’t change significantly, while the average premium for those who buy their own coverage would go up. Alexander also said “50 percent of doctors won’t see new [Medicaid] patients.” But a 2008 survey says only 28 percent refuse to take any new Medicaid patients. Sen. Harry Reid cited a poll that said 58 percent would be “angry or disappointed” if health care overhaul doesn’t pass. True, but respondents in the poll were also split 43-43 on whether they supported the legislation that is currently being proposed. Obama repeated an inflated claim we’ve covered before. He said insured families pay about $1,000 a year in their premiums to cover costs for the uninsured. That’s a disputed figure from an advocacy group. Other researchers put the figure at about $200. Sen. Tom Coburn said “the government is responsible for 60 percent” of U.S. health spending. But that dubious figure includes lost tax revenue due to charitable contributions to hospitals and other questionable items. The real figure is about 47 percent. Reid said “since 1981 reconciliation has been used 21 times. Most of it has been used by Republicans.” That’s true, but scholars say using it to pass health care legislation would be the most ambitious use to date of this filibuster-avoiding maneuver. Rep. Charles Boustany said the main GOP-backed bill would reduce premium costs by “up to about 10 percent.” According to CBO, that’s true for the small group market, which accounts for only 15 percent of premiums. But premiums in the large group market would stay the same or go down by as much as 3 percent. I have solar and nanotechnology release two-fers pretty often since both of those technologies pump out a lot of news. This is bit more rare — a Nintendo Wii two-fer. Here’s the first, and below you can find the second. The use of virtual reality Wii™ game technology holds the promise as a safe and feasible way to help patients recovering from stroke improve their motor function. Researchers said it’s too early to recommend it as standard stroke rehabilitative therapy. SAN ANTONIO, Feb. 25, 2010 — Virtual reality game technology using Wii™ may help recovering stroke patients improve their motor function, according to research presented as a late breaking poster at the American Stroke Association’s International Stroke Conference 2010. “This is the first randomized clinical study showing that virtual reality using Wii™ gaming technology is feasible and safe and is potentially effective in enhancing motor function following a stroke, but our study results need to be confirmed in a major clinical trial,” said Gustavo Saposnik, M.D., M.Sc., director of the Stroke Outcomes Research Unit at the Li Ka Shing Institute, St. Michael’s Hospital and lead investigator of the study carried out at the Toronto Rehabilitation Institute at the University of Toronto, Canada. The pilot study focused on movements with survivors’ impaired arms to help both fine (small muscle) and gross (large muscle) motor function. The study found no adverse effects in the Wii™ group, reflecting safety. There was only one reported side effect in the recreational therapy group: nausea or dizziness. The Wii™ group used the technology for about 364 minutes in total session time, reflecting its feasibility. The recreational therapy group’s total time was 388 minutes. Co-authors are Mark Bayley, M.D. ; Muhammad Mamdani, Pharm.D. ; Donna Cheung, O.T. ; Kevin Thorpe, Mmath; Judith Hall, M.;Sc. ; William McIlroy, Ph.D.; Jacqueline Willems; Robert Teasell, M.D. ; and Leonardo G. Cohen, M.D. ; for the Stroke Outcome Research Canada (SORCan) Working Group. Author disclosures are on the abstract. The Effectiveness of Virtual Reality Using Wii Gaming Technology in Stroke Rehabilitation (EVREST) Study was funded by a grant from the Heart and Stroke Foundation (HSFO) and the Ontario Stroke System (OSS) in Canada. Click here to download audio clips offering perspective on this research from American Stroke Association spokesperson, Pamela Duncan, Ph.D., PT, FAPTA, Professor and Bette Busch Maniscalico Research Fellow, Division of Physical Therapy, Department of Community and Family Medicine; Senior Fellow Duke Center for Clinical Health Policy Research, Duke University, Durham, N.C. Statements and conclusions of study authors that are presented at American Heart Association/American Stroke Association scientific meetings are solely those of the study authors and do not necessarily reflect association policy or position. The association makes no representation or warranty as to their accuracy or reliability. The association receives funding primarily from individuals; foundations and corporations (including pharmaceutical, device manufacturers and other companies) also make donations and fund specific association programs and events. The association has strict policies to prevent these relationships from influencing science content. Revenues from pharmaceutical and device corporations are available atwww.americanheart.org/corporatefunding. Or so this news from Princeton purports. By reworking a theory first proposed by physicists in the 1920s, the researchers discovered a new way to predict important characteristics of a new material before it’s been created. The new formula allows computers to model the properties of a material up to 100,000 times faster than previously possible and vastly expands the range of properties scientists can study. “The equation scientists were using before was inefficient and consumed huge amounts of computing power, so we were limited to modeling only a few hundred atoms of a perfect material,” said Emily Carter, the engineering professor who led the project. By offering a panoramic view of how substances behave in the real world, the theory gives scientists a tool for developing materials that can be used for designing new technologies. Car frames made from lighter, strong metal alloys, for instance, might make vehicles more energy efficient, and smaller, faster electronic devices might be produced using nanowires with diameters tens of thousands of times smaller than that of a human hair. Paul Madden, a chemistry professor and provost of The Queen’s College at Oxford University, who originally introduced Carter to this field of research, described the work as a “significant breakthrough” that could allow researchers to substantially expand the range of materials that can be studied in this manner. “This opens up a new class of material physics problems to realistic simulation,” he said. The new theory traces its lineage to the Thomas-Fermi equation, a concept proposed by Llewellyn Hilleth Thomas and Nobel laureate Enrico Fermi in 1927. The equation was a simple means of relating two fundamental characteristics of atoms and molecules. They theorized that the energy electrons possess as a result of their motion — electron kinetic energy — could be calculated based how the electrons are distributed in the material. Electrons that are confined to a small region have higher kinetic energy, for instance, while those spread over a large volume have lower energy. Understanding this relationship is important because the distribution of electrons is easier to measure, while the energy of electrons is more useful in designing materials. Knowing the electron kinetic energy helps researchers determine the structure and other properties of a material, such as how it changes shape in response to physical stress. The catch was that Thomas and Fermi’s concept was based on a theoretical gas, in which the electrons are spread evenly throughout. It could not be used to predict properties of real materials, in which electron density is less uniform. The next major advance came in 1964, when another pair of scientists, Pierre Hohenberg and Walter Kohn, another Nobel laureate, proved that the concepts proposed by Thomas and Fermi could be applied to real materials. While they didn’t derive a final, working equation for directly relating electron kinetic energy to the distribution of electrons, Hohenberg and Kohn laid the formal groundwork that proved such an equation exists. Scientists have been searching for a working theory ever since. In the absence of a solution, researchers have been calculating the energy of each atom from scratch to determine the properties of a substance. The laborious method bogs down the most powerful computers if more than a few hundred atoms are being considered, severely limiting the amount of a material and type of phenomena that can be studied. Carter knew that using the concepts introduced by Thomas and Fermi would be far more efficient, because it would avoid having to process information on the state of each and every electron. As they worked on the problem, Carter and Chen Huang, a doctoral student in physics, concluded that the key to the puzzle was addressing a disparity observed in Carter’s earlier work. Carter and her group had developed an accurate working model for predicting the kinetic energy of electrons in simple metals. But when they tried to apply the same model to semiconductors — the conductive materials used in modern electronic devices — their predictions were no longer accurate. Their new model, published online Jan. 26 in Physical Review B, a journal of the American Physical Society, provides a practical method for predicting the kinetic energy of electrons in semiconductors from only the electron density. The research was funded by the National Science Foundation. Coupled with advances published last year by Carter and Linda Hung, a graduate student in applied and computational mathematics, the new model extends the range of elements and quantities of material that can be accurately simulated. Via KurzweilAI.net — Very interesting, and I can see where composers would be concerned, but I think Cope’s getting a little ahead/full of himself with the final quote about computers, humans and soul. Hopefully the quip was tongue-in-cheek that just didn’t translate to print. David Cope’s algorithmic compositions rival the beauty of music by human composers and have passed the musical equivalent of the Turing Test (listeners cannot determine which music is human-composed). They herald the future of a new kind of musical creation: armies of computers composing (or helping people compose) original scores, he believes. But some — especially composers — are threatened by the ability of artificial creativity programs to compose works fast that are good and that the audience likes. I agree some regulation [ … kills me to write that] in the financial and public sector needs to come to pass, but this accomplishes nothing aside from cheap public relations. If the markets are so weak selling short is capable of breaking them, maybe they should be broken. Not too sure this move by the SEC is the answer, but it does seem measured and could well fall under the “some financial regulation is necessary” rubric I created in the previous blog post. I don’t like the idea the SEC is stifling the open market, but given the amount of pure jacking around the market has endured over the last two years, curbing “spiraling sales sprees” is probably not that bad an idea. It’s tough to remain a market purist in the face of market failure and the reality of ongoing market tinkering. Federal regulators on Wednesday imposed new curbs on the practice of short-selling, hoping to prevent spiraling sales sprees in a stock that can stoke market turmoil. The Securities and Exchange Commission, divided along party lines, voted 3-2 at a public meeting to adopt new rules. The rules put in a so-called “circuit breaker” for stock prices, restricting for the rest of a trading session and the next one any short-selling of a stock that has dropped 10 percent or more. Short-sellers bet against a stock, in a practice that is legal and widely used on Wall Street. They borrow a company’s shares, sell them and then buy them when the stock falls and return them to the lender — pocketing the difference in price. The SEC move followed months of wrestling with the controversial issue. The SEC asked for public comment last April on several alternative approaches to restraining short-selling, and a bipartisan group of senators have been pushing the agency to act or face legislation. The agency got more than 4,300 comments on the issue. Winner of the men’s Professional Bowlers Association Tour Tournament of Champions, and the first woman to win a title on the men’s PBA tour. I don’t agree with Rick Reilly a lot of the time (and his writing ability continues on its downhill slide), but he totally nailed this column. What Kulick just did is one of the single greatest female sporting achievements in history. As an occasional art conservator, I always find new developments in the field interesting. I don’t do painting restoration, but this technique sounds like it’s fairly unobtrusive and gets the job done. Plus lasers are always cool. IMAGE: Art conservationists cleaned the two angels on the left with traditional restoration methods. They cleaned the one on the right using an advanced laser technique, which produced better results. A laser technique best known for its use to remove unwanted tattoos from the skin is finding a second life in preserving great sculptures, paintings and other works of art, according to an article in ACS’ monthly journal,Accounts of Chemical Research. The technique, called laser ablation, involves removing material from a solid surface by vaporizing the material with a laser beam. Salvatore Siano and Renzo Salimbeni point out that laser cleaning of artworks actually began about 10 years before the better known medical and industrial applications of the technique. Doctors, for example, use laser ablation in medicine to remove unwanted tattoos from the skin. In industry, the technique can remove paints, coatings and other material without damaging the underlying surface. In the article, the scientists note that laser ablation has had an important impact in preserving the world’s cultural heritage of great works of art. They describe the latest advances in laser cleaning of stone and metal statues and wall paintings, including masterpieces like Lorenzo Ghiberti’s Porta del Paradiso and Donatello’s David. They also discuss encouraging results of laser cleaning underwater for materials that could deteriorate if exposed to air. Today ESO has released a dramatic new image of NGC 346, the brightest star-forming region in our neighbouring galaxy, the Small Magellanic Cloud, 210 000 light-years away towards the constellation of Tucana (the Toucan). The light, wind and heat given off by massive stars have dispersed the glowing gas within and around this star cluster, forming a surrounding wispy nebular structure that looks like a cobweb. NGC 346, like other beautiful astronomical scenes, is a work in progress, and changes as the aeons pass. As yet more stars form from loose matter in the area, they will ignite, scattering leftover dust and gas, carving out great ripples and altering the face of this lustrous object. NGC 346 spans approximately 200 light-years, a region of space about fifty times the distance between the Sun and its nearest stellar neighbours. Astronomers classify NGC 346 as an open cluster of stars, indicating that this stellar brood all originated from the same collapsed cloud of matter. The associated nebula containing this clutch of bright stars is known as an emission nebula, meaning that gas within it has been heated up by stars until the gas emits its own light, just like the neon gas used in electric store signs. Many stars in NGC 346 are relatively young in cosmic terms with their births dating back only a few million years or so (eso0834). Powerful winds thrown off by a massive star set off this recent round of star birth by compressing large amounts of matter, the first critical step towards igniting new stars. This cloud of material then collapses under its own gravity, until some regions become dense and hot enough to roar forth as a brilliantly shining, nuclear fusion-powered furnace — a star, illuminating the residual debris of gas and dust. In sufficiently congested regions like NGC 346, with high levels of recent star birth, the result is a glorious, glowing vista for our telescopes to capture. NGC 346 is in the Small Magellanic Cloud, a dwarf galaxy some 210 000 light-years away from Earth and in close proximity to our home, the much larger Milky Way Galaxy. Like its sister the Large Magellanic Cloud, the Small Magellanic Cloud is visible with the unaided eye from the southern hemisphere and has served as an extragalactic laboratory for astronomers studying the dynamics of star formation. This particular image was obtained using the Wide Field Imager (WFI) instrument at the MPG/ESO 2.2-metre telescope at the La Silla Observatory in Chile. Images like this help astronomers chronicle star birth and evolution, while offering glimpses of how stellar development influences the appearance of the cosmic environment over time. ESO, the European Southern Observatory, is the foremost intergovernmental astronomy organisation in Europe and the world’s most productive astronomical observatory. It is supported by 14 countries: Austria, Belgium, the Czech Republic, Denmark, France, Finland, Germany, Italy, the Netherlands, Portugal, Spain, Sweden, Switzerland and the United Kingdom. ESO carries out an ambitious programme focused on the design, construction and operation of powerful ground-based observing facilities enabling astronomers to make important scientific discoveries. ESO also plays a leading role in promoting and organising cooperation in astronomical research. ESO operates three unique world-class observing sites in Chile: La Silla, Paranal and Chajnantor. At Paranal, ESO operates the Very Large Telescope, the world’s most advanced visible-light astronomical observatory, and VISTA the largest survey telescope. ESO is the European partner of a revolutionary astronomical telescope ALMA, the largest astronomical project in existence. ESO is currently planning a 42-metre European Extremely Large optical/near-infrared Telescope, the E-ELT, which will become “the world’s biggest eye on the sky”. … to prep for raising the interest rate. Via KurzweilAI.net — This warning from Michael McConnell shouldn’t be dismissed as another Bush 43 administration official hoping to paint Obama as unprepared for security threats and attempting to preemptively pin any future attacks on the purported incompetence of the White House. McConnell served as NSA director under Clinton before his stint as Director of National Intelligence under Bush and then briefly under Obama. Cyberwarfare is one threat the U.S. faces where the overwhelming might of our military does not make a whit of difference. The U.S. isn’t prepared for a massive attack on its computer networks by another country and would lose, former Director of National Intelligence Michael McConnell told a Senate panel today. Is the Bloom Box the next Segway? The hot energy news for this week comes in the form of a small box called the Bloom box, whose inventor hopes that it will be in almost every US home in the next five to 10 years. K.R. Sridhar, founder of the Silicon Valley start-up called Bloom Energy, unveiled the device on “60 Minutes” to CBS reporter Leslie Stahl on Sunday evening. Although Sridhar made some impressive claims on the show, he left many of the details a secret. This Wednesday, the company will hold a “special event” in eBay’s town hall, with a countdown clock on its website suggesting it will be a momentous occasion – or at least generating hype. As Sridhar explained to Stahl, the Bloom box is a new kind of fuel cell that produces electricity by combining oxygen in the air with any fuel source, such as natural gas, bio-gas, and solar energy. Sridhar said the chemical reaction is efficient and clean, creating energy without burning or combustion. He said that two Bloom boxes – each the size of a grapefruit – could wirelessly power a US home, fully replacing the power grid; one box could power a European home, and two or three Asian homes could share a single box. Although currently a commercial unit costs $700,000-$800,000 each, Sridhar hopes to manufacture home units that cost less than $3,000 in five to 10 years. He said he got the idea after designing a device for NASA that would generate oxygen on Mars, for a mission that was later canceled. The Bloom box works in the opposite way as the Mars box: instead of generating oxygen, it uses oxygen as one of the inputs. Update — Here’s the latest on the Bloom box from PhysOrg. Technically it’s a loan guarantee rather than a true investment, but this Department of Energy move shows just how serious the Obama administration is concerning alternate energy sources. There are a lot of exciting developments in solar power right now and government money in this amount only helps grease the wheels of innovation and private-sector investment. The U.S. Department of Energy has announced a $1.37 billion conditional loan guarantee for the Ivanhoe Solar Complex in the Mojave Desert. The project, managed by Brightsource Energy, will use mirrors to concentrate sunlight, creating high temperatures that can be used to generate electricity. The complex will include three power plants that together will produce about 400 megawatts of electricity. Basically, the guarantees would cover the loans in the case of default. The money for the loans is expected to come from the Federal Financing Bank. One of the biggest challenges that large solar developments face is getting financing, particularly because few such solar power plants have been built. The DOE guarantees help on this front. Gary Mikola is the Business Development Manager for the Society of Manufacturing Engineers (SME) and is the Event Manager for Rapid 2010 & 3D Imaging Conference & Tradeshow coming this May in Anaheim. Gary has 31 years of experience at SME with responsibilities including conferencing, tradeshows, membership and training. Fine art is going to be a part of this year’s Rapid show through the SculptCAD Rapid Artists Project, an effort that combines the creativity of working visual artists with the cutting edge of 3D modeling, 3D visualization, rapid prototyping and digital sculpture tools. SculptCAD’s Nancy Hairston is spearheading the project and is participating as an artist. This interview with Mikola is the second of many coming blog posts about the SculptCAD Rapid Artists Project (you can find the first post here) and is the first interview with a project principal. Future posts include a discussion with Hairston on her artwork and her work as a 3D industry leader, and posts with individual participating artists covering how they are approaching the technology. Hopefully future posts will include some sneak previews of the art being created in this fusion of fine art and high technology. I understand SME is interested in the intersection of fine art and technologies like rapid prototyping, additive manufacturing, 3D visualization/modeling, etc. (I’m sure I’ve left some tech areas out of that short list.) What would you like to see in the future in terms of integrating SME and fine art? What comes next after RAPID 2010 and the SculptCAD RAPID ARTISTS Project? SME is fortunate to have dedicated members and event advisers including the Rapid Technologies and Additive Manufacturing (RTAM) group. RTAM advocated the addition of a presentation addressing the use of the technology applied to art. Most recently, many prominent artists, including speaker Bathsheba Grossman, have associated with and used the technology to create and present art. Tell me a little about the genesis of making fine art a part of RAPID 2010? A tension exists between design engineers and manufacturing engineers. Starting with concurrent engineering philosophy to present, the task of manufacturing products designed by someone outside of manufacturing has slowed product to market. RAPID will be an outlet for engineers from both camps to come together and turn ideas and designs into reality. Artists have an ability to think outside the lines of traditional concepts. Contemporary art exemplifies that. The challenge of creating products that appeal to all kinds of markets and multiple applications presents a catalyst for change for design and manufacturing engineers. The SculptCAD Rapid Artists projects here at RAPID will introduce this concept to a wider range of people. We have confidence that the SculptCAD Rapid Artists Project will be a beginning, expanding thinking and creating future applications. Looking toward this year’s show, how did Nancy Hairston (VanDuzen, SculptCAD) and the SculptCAD RAPID ARTISTS Project get involved with RAPID 2010? Did you know Nancy before this project? SME members and Technical Advisers Kevin Ayers, FBI and Vesna Cota, Tyco Electronics Canada, were instrumental in pushing for the inclusion of art at RAPID. After Kevin introduced SME to Nancy, we formalized the inclusion of the SculptCAD Rapid Artists Project at our event. Nancy also contributed ideas to promote the Contemporary Art Gallery at RAPID. Going beyond the fine art element, give me the quick overview of this year’s RAPID show. What really excites you about RAPID 2010? RAPID 2010 will bring manufacturing professionals, designers and even artists together to view, explore and discuss new innovations in 3D scanning and rapid prototyping technology. Exhibits, keynotes and presentations will illustrate applications in aerospace and defense; automotive; arts and entertainment, including games; medicine; and sports and recreation. Buyers and end-users of design, prototyping, tooling and direct manufacturing equipment will get a chance to compare processes, talk to industry experts and participate in more than 70 technical presentations. o Medical presentations will explore uses of additive manufacturing for organ replacement, prosthetics, spinal injuries and even eye lenses. o The Arts and Entertainment track will show how additive manufacturing can create special effects for movies, produce new types of sculptures and develop video games for education. o In the Aerospace and Defense track, speakers will discuss rapid prototyping for airplane parts. o Presentations in the automotive/motor vehicle session will cover the technology’s application for machining and tooling. We also have outstanding keynote presenters that will start the conference daily. And, as always, the technology on the show floor will provide an experience that enhances one’s knowledge of the industry. We are also excited to be in Anaheim at the Disneyland Hotel. Walt Disney was an individual with an amazing imagination. He contributed much to our creative thinking as a county and to the development of American culture. Our industry supports art and creativity in a similar way. Do you have any final thoughts on SME and fine art? Personally, I love art. My early training as an industrial arts instructor taught me the value of using your hands as a learning tool. In that environment, a student is encouraged to be creative; mixing that with traditional industrial skills. SME is also committed to education. SME’s Educational Foundation supports summers camps and numerous activities to encourage careers in manufacturing. With rapid technologies, art is another option for further study. For more information, visit www.sme.org/rapid, or follow us on Twitter: @Rapid_Event. 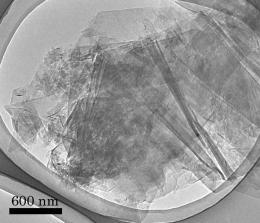 A new method of growing carbon nanotubes without requiring platinum or another metal as a catalyst has been developed by researchers at NASA‘s Goddard Center. The carbon nanotubes are produced when graphite dust particles are exposed to a mixture of carbon monoxide and hydrogen gases. The method was suggested by a 2008 discovery that the long, thin carbon structures known as graphite whiskers — essentially, bigger cousins of carbon nanotubes — were identified in three meteorites. Researchers suspect that it could have produced at least some of the simple carbon-based compounds in the early solar system. The work also could help researchers understand puzzling observations about some supernovas. If you are a college student or young adult living in apartments, you may move fairly often. If you own your home — house, condo, townhome, loft or something else — you probably don’t move nearly as often, but relocations through moving to a new city for a new job, or just buying a new home in your current city do happen. No matter how often you move there is one common denominator — it is a hassle. You either start calling friends with trucks and vans and hope you can assemble a team big enough to get the job done quickly, or you start calling professional movers and begin the process of sorting out the varying price structure, bids for different levels of service and even doing your best to vet each company for reliability and work quality. If you happen to live in the New York City area and are looking for New York movers, you are in luck. Two software engineers became frustrated with moving in Manhattan and created CityMove.com, a website that provides two key services for people needing to relocate. First the site is a forum for moving company customers to post about their experience good and bad. With this you can read about actual moving transactions from different companies and how positive — or negative — the experience was for the customer. The major benefit of the site is it acts as a matchmaking service between moving companies and customers. When you need to move, sign in at the site and enter the details of your project then post the job to allow moving companies to bid on your relocation. Once you accept a bid and complete the move, head back to CityMove and leave a review on your experience for future moving customers. Best of all? CityMove is a free service for the moving customer. This sounds like a service people in other cities would love to have access to. I know my last move entailed collecting bids from companies myself and then trying to sort through all the apples-to-oranges bid comparisons. CityMove would have made the process a whole lot easier. This sounds like a real step forward in improving artificial skin, plus anything involving quantum physics is just cool. The UK company Peratech, which last month signed a deal to develop novel pressure-sensing technology for screen maker Nissha, has announced that it will use the same approach to make artificial “skin” for the MIT Media Lab. Peratech makes an electrically conductive material called quantum tunneling composite (QTC). When the material is compressed electrons jump between two conductors separated by polymer insulating layer covered with metallic nanoparticles. QTC has already been used to make small sensors for NASA’s Robonaut and for a robotic gripper made by Shadow Robot Company. Just the thing for the technically challenged wanna-be cybercriminal. It’s bad enough having to deal with nefarious coders, but these tools (and various “virus making for dummies” tools have been around forever) allow bored kids and garden variety criminals in on the lucrative world of botnets. Last week, the security firm NetWitness, based in Herndon, VA, released a report highlighting the kind of havoc the software can wreak. It documents a Zeus botnet that controlled nearly 75,000 computers in more than 2,400 organizations, including the drug producer Merck, the network equipment maker Juniper Networks, and the Hollywood studio Paramount Pictures. Over four weeks, the software was used to steal more than 68,000 log-in credentials, including thousands of Facebook log-ins and Yahoo e-mail log-ins. “They had compromised systems inside both companies and government agencies,” says Alex Cox, a principal analyst at NetWitness. A survey conducted by another security firm–Atlanta-based Damballa–found Zeus-controlled programs to be the second most common inside corporate networks in 2009. Damballa tracked more than 200 Zeus-based botnets in enterprise networks. The largest single botnet controlled using the Zeus platform consisted of 600,000 compromised computers. If you’re following the current story on the John Yoo and Judge Jay Bybee torture memos you know the Office of Professional Responsibility report found the memos shameful, but Associate Deputy Attorney General David Margolis has recommended the Justice Department will not refer a finding of professional misconduct. With this announcement many talking heads on the right, often ex-officials of the Bush 43 administration, have gone on the attack claiming all this news totally exonerates Yoo and Bybee. Not so. Margolis basically says their legal advice was very questionable and essentially straddles the line of misconduct enough he can’t rule against them. One thing the OPR report does illuminate is simply how shameful and shameless the United States government, particularly the executive branch and Department of Justice, behaved during the Bush years. These individuals may escape personal and professional repercussions, but history will not be kind to anyone who is associated with dragging America down into the ranks of states that torture. Jack Balkin offers a great explanation/take-down on just how low of bar Yoo and Bybee barely escaped through Margolis’ decision not to find for professional misconduct. Whether or not the DOJ refers Yoo and Bybee for professional discipline, no one should think that either man behaved according to the high standards we should expect of government attorneys. They, and the government officials who worked with them, shamed this nation. They dragged America’s reputation in the dirt. They severely damaged our good name in the eyes of the world. They undermined the values this country stands for and that the legal profession should stand for. Nothing the DOJ does now–or fails to do–will change that.